The 2018 Kawasaki Ninja 250 has made its world premiere at the 2017 Tokyo Motor Show today. 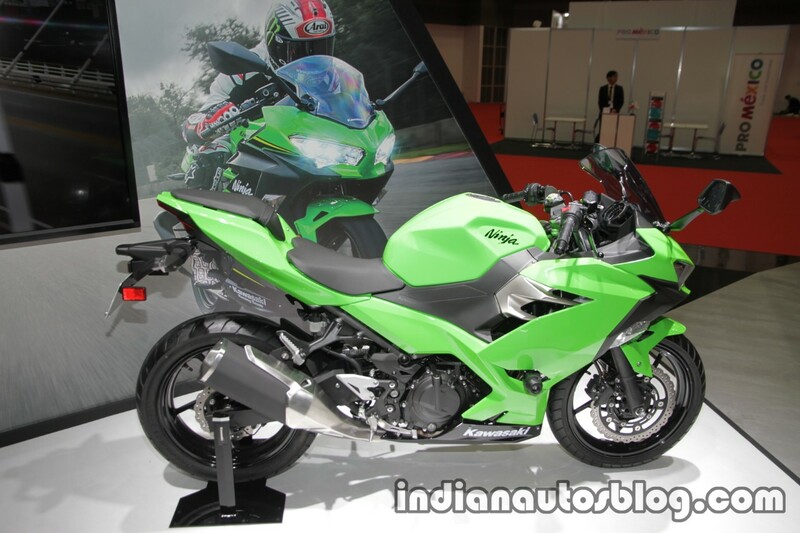 Here are the fully faired motorcycle’s live images from the show. The 2018 Kawasaki Ninja 250 comes with a newly designed fairing, with sharper lines for a more aggressive look. 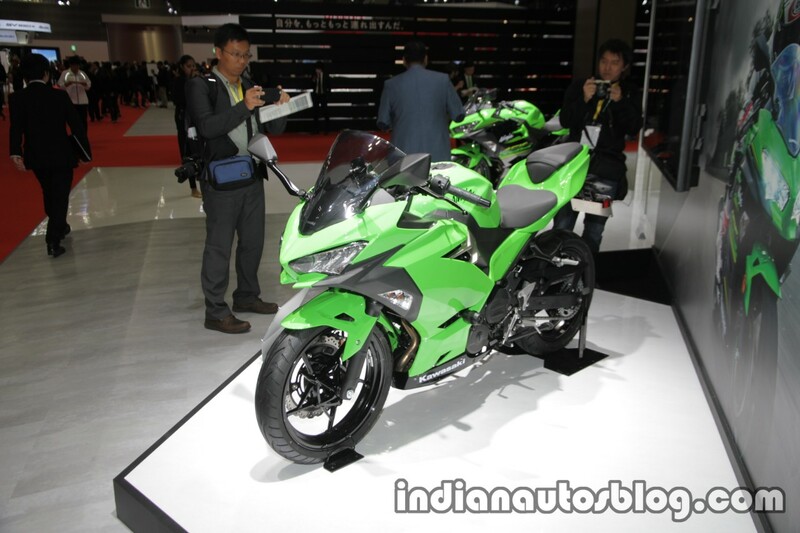 The design is similar to the 2018 Kawasaki Ninja 400. The twin headlamps and the tail lamp are LED units, while the indicators are bulb type units. The display bike comes with frame sliders, which is an optional accessory. The motorcycle measures 1,990 mm in length, 710 mm in width and 1,120 mm in height. It has a seat height of 785 mm. The 2018 Kawasaki Ninja 250 draws power from a 249 cc parallel twin DOHC engine with liquid cooling and fuel injection. This engine puts out 39 PS of maximum power at 12,500 rpm and 23.5 Nm of maximum torque at 10,000 rpm. Telescopic forks at the front and monoshock at the rear handle the suspension responsibilities. The motorcycle has petal-type disc brakes at the front and rear, with dual channel ABS. The sporty, yet comfortable ergonomics, large windshield, and the 14-litre fuel tank make the 2018 Kawasaki Ninja 250 an ideal sports tourer. The motorcycle weighs 167 kg. The display bike comes with a combination of Lime Green and Ebony colour.